SAN FRANCISCO (CN) – The Ninth Circuit on Friday rejected a request by a Bahamian trust belonging to a deceased Indonesian politician to sue Swiss banking giant UBS AG in California just because it does business there. In a written decision issued Friday, the court affirmed the dismissal of AM Trust’s federal class action against UBS for lack of personal jurisdiction. AM Trust accused the Zurich-based bank in 2014 of shutting down the accounts of secret account-holders who had died or were absent for long periods, including former Indonesian Vice President Adam Malik. The trust then said the bank withheld or destroyed internal records related to the accounts. AM Trust claimed a night guard discovered that the Union Bank of Switzerland, a UBS predecessor, was destroying documents about dormant assets, including information about companies doing business during the Holocaust and real estate records for Berlin property seized by the Nazis and put into Swiss accounts. The cash-grab netted UBS billions of dollars, according to the trust. When beneficiaries asked about their accounts, the banks said no records existed for accounts that have been closed for 10 years, the trust claimed. It has been trying to recover assets from the accounts for years to no avail. A district court dismissed AM Trust’s suit in 2015, ruling that it had no personal jurisdiction over a bank that is incorporated and primarily does business in Switzerland. 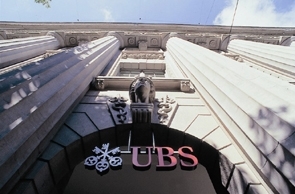 On appeal, the trust argued that UBS is subject to personal jurisdiction in California because it operates two full-service branches in San Francisco and Los Angeles. And although the Supreme Court’s 2014 decision in Daimler AG v. Bauman held that a corporation is only subject to personal jurisdiction where it is incorporated or does most of its business, AM Trust attorney Tom Easton asked the Ninth Circuit at a hearing last month to carve out an exception to the rule in order to extend jurisdiction over UBS to California so it could sue there. U.S. Senior Circuit Judge Richard Clifton responded harshly, telling Easton that the exception would circumvent Daimler, and that he didn’t have the power to do that. Again citing Daimler on Friday, the court said that AM Trust hadn’t shown that jurisdiction was appropriate. AM Trust had also argued that because the federal government regulates UBS, the bank had “impliedly consented” to personal jurisdiction. But the three-judge panel countered that AM Trust hadn’t shown that UBS agreed to personal jurisdiction in California, noting that California doesn’t require corporations to agree to it when they designate an agent for service of process or register to do business there. Nor did UBS’s acceptance of service of process in California amount to consent to personal jurisdiction in the state, the court said. “Service of process and personal jurisdiction are two different things,” it said. Also Friday, the panel affirmed the district court’s decision rejecting AM Trust’s request for jurisdictional discovery. It said that AM Trust hadn’t convinced either the district or the appellate court that discovery would unearth anything that would show UBS is subject to personal jurisdiction in California. Indonesia’s Adam Malik served as the country’s foreign minister and vice president, and was the 26th president of the U.N. General Assembly. Before his death in 1984, he had several Union Bank of Switzerland and UBS bank accounts, containing more than $5 million in cash and gold, according to AM Trust’s complaint. Easton, who practices in Springfield, Oregon, could not be reached for comment Friday morning. UBS is represented by Blaine Evanson of Gibson Dunn & Crutcher in Los Angeles. He did not return a call for comment. U.S. Circuit Judge Marsha Berzon and U.S. District Judge Robert Lasnik, sitting by designation from the Western District of Washington, also sat on the panel.